Unlike human, wildlife always has to be at their peak. They are always being challenged by the environment, by members of their own species for food, territory and for mates. Competition from other species for food and territory and depending on where they fall on the food chain, they always have to be two steps ahead of becoming someone’s meal. Unless they are on the top part of the food chain, they can't over eat and became an easy prey. When it gets dark, the species that stay active, it's even more important to stay healthy. 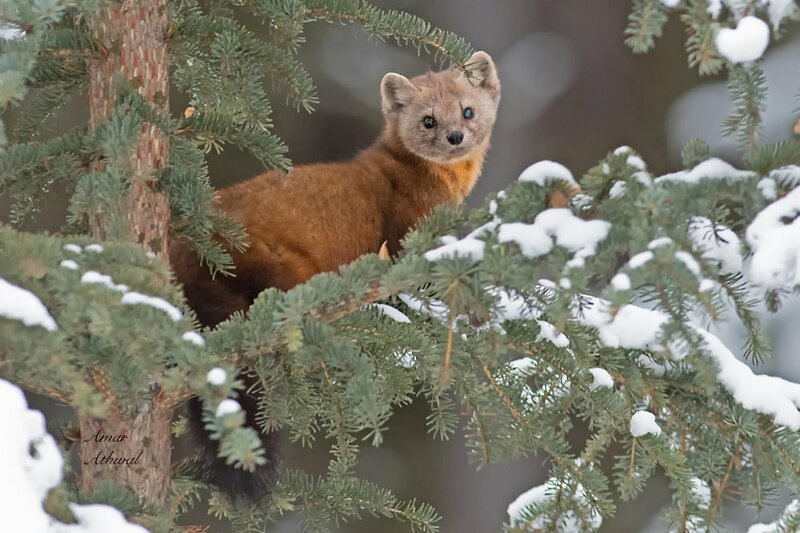 That leads me to this American marten I came across with a damaged left eye that has turned green and is shrinking. Being out there middle of the wilderness, every day it survives with one eye, it's overcoming extreme odds against nature.